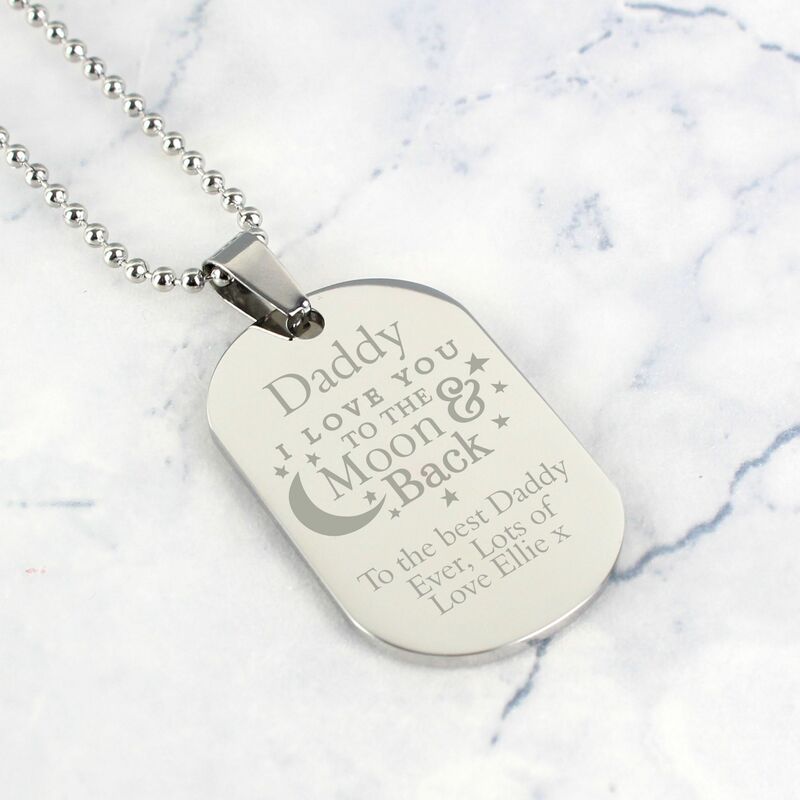 This Personalised 'To the moon and back...' Dog Tag Necklace is a sweet gift for any special man. This item can be personalised on the tag with any role at the top, up to 12 characters. We can then engrave a small message at the bottom of 3 lines, with a maximum of 18 characters per line. Please note the words 'I love you to the moon and back' are fixed text. The chain is 20.5 inches long and the dog tag measures 4cm x 2cm x 0.3cm.Necklace comes presented in a stylish gift box.